Why you should go: Introducing the new night that will take hip hop, bass, and trap to new heights. This night will be featuring live international and local artists! 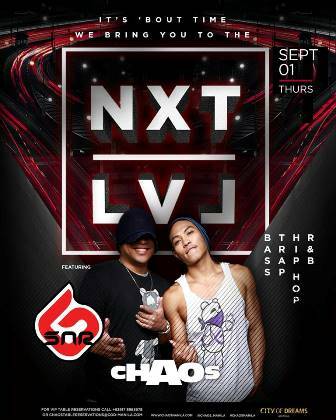 This Thursday will be the grand laynch with SNRG kicking things off on September 1st! Other details: Be there by 10 p.m. For VIP table reservations, contact 0917-381-3398 or email ChaosTableReservations@cod-manila.com.